Visualizing what you really want in life can be one of the most powerful ways to manifest your dreams. A vision board can be a simple and yet truly powerful tool in visualization. 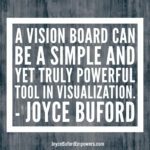 Vision boards are also known as goal maps, goal boards and treasure maps, and the concepts behind them have been used for generations. Still, they’re gathering renewed interest as people realize how powerful they can be in bringing dreams to life. A vision board begins with a foundation. This may be a poster board, foam board, tri-fold board, or cork board. Use what works best for you. Choose a foundation that speaks to you, one that you feel you can easily and effectively build upon. A vision board includes imagery. You can clip pictures out of books, magazines, or the newspaper. If you prefer, you can draw the images yourself. What matters here is that images are present, because your vision board needs to be visual in nature. Seeing pictures of your priorities, dreams, and goals will help you focus on them. *Allow yourself to experiment with different mediums while creating the images for your vision board. Find photographs, sketches, clip art and other images; then draw any subjects for which you couldn’t find an appropriate piece of art. A vision board includes writing. Writing isn’t mandatory, but it can play a role in identifying the key pieces of information. You want to make sure that you can look at your vision board at any point in the future and know exactly what you intended by each picture, word or thought included on it. Your goal map is limited only by the extent of your personal creativity. It may be simple and strategic or it may be a highly detailed work of art. Ultimately, it’s up to you to decide what best suits your needs. Visual. Your subconscious tends to work in terms of images and pictures, and so your vision board should be as visual as you can possibly make it. Supplement the images with phrases and words as needed. Emotional. Every image on your goal map should evoke some type of positive emotional response out of you. Seeing it should fuel your motivation to achieve your dreams. Strategic. This tool should be placed strategically in a location where you receive maximum exposure to it. Seeing your vision board as often as possible will help you stay focused on your goals and dreams. Personal. 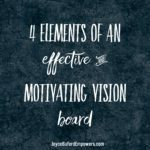 Your vision board needs to emit positive energy. If you think that you’ll be criticized or forced to justify yourself for your vision board, then keep it in a private location so nobody else can bother it or you. Beyond these basic guidelines, let this tool be whatever you want to make of it. Ultimately, it’s yours to design, develop and utilize as you see fit. You can add to it and change it over time as your goals and focuses change. Want to make a Vision Board with me and other like-minded individuals. 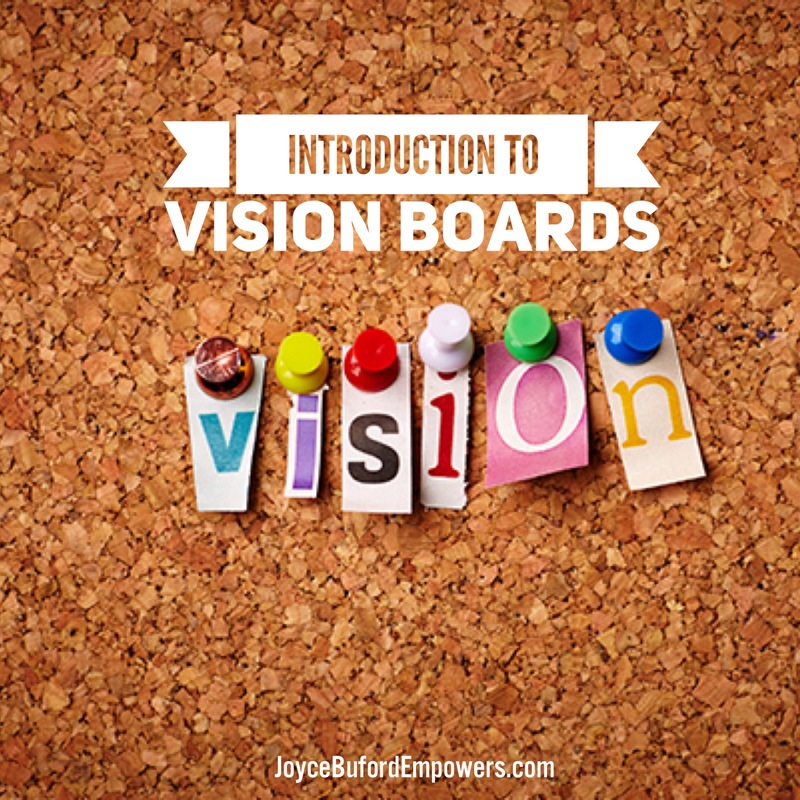 Join us, Saturday, November 11 for my Vision Board Workshop.